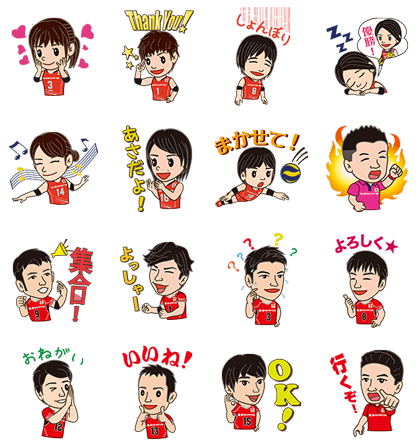 http://www.line-stickers.com/ – Japan National Volleyball Team Line Sticker | Get ready for some serious sports action with the managers and players from the men and women’s Japanese National Volleyball Teams! 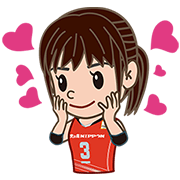 Bump, set, and spike all your greatest moments in your chats with these equally fantastic stickers! Available till September 28, 2015.